15 days short to his 84th birthday. 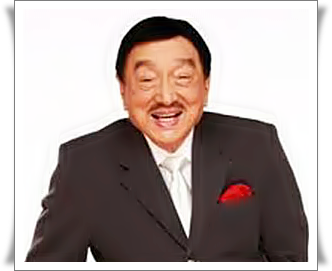 Dolphy, The Comedy King passed away this evening,at 8:34 P.M., Tuesday, July 10, 2012 at the Makati Medical Center due to multiple organ failure, secondary to complications brought about by severe pneumonia, Chronic Obstructive Pulmonary Disease, and Acute Renal Failure. 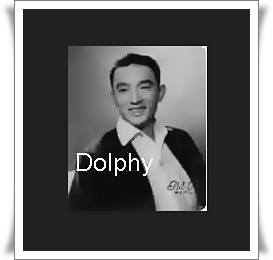 Dolphy' s real name is Rodolfo Vera Quizon. He was born in Pampanga and was raised in Tondo. I really feel sad. He gave us so much joy and laughter in times of trouble. I am really glad to have met him personally in Hong Kong on one of our summer vacations. 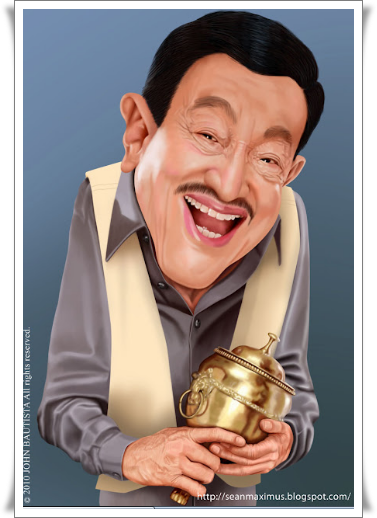 I remember him as the ever smiling Mang Dolphy. He is now with my Dad and Mom in heaven. I bet they will be laughing together in heaven. Heaven will be a much happier place now with Mang Dolphy around. Dolphy came from a very humble beginnings, and his admiration of comedians Pugo and Tugo influenced him to be a stage performer. His first screen name was Golay, and he used this name for his first movie with Fernando Poe Sr., the father of his friend the late action king Fernando Poe Jr.
Dolphy started his first career in a TV Show, Buhay Artista, at ABS-CBN with a talent fee of One thousand pesos. That was soon followed by many shows and movies. Dolphy had 18 children to six different women. His last partner was actress Zsa Zsa Padilla. The Filipino people will miss you! You have given so much Joy in our hearts. Rest in peace, Mang Dolphy.